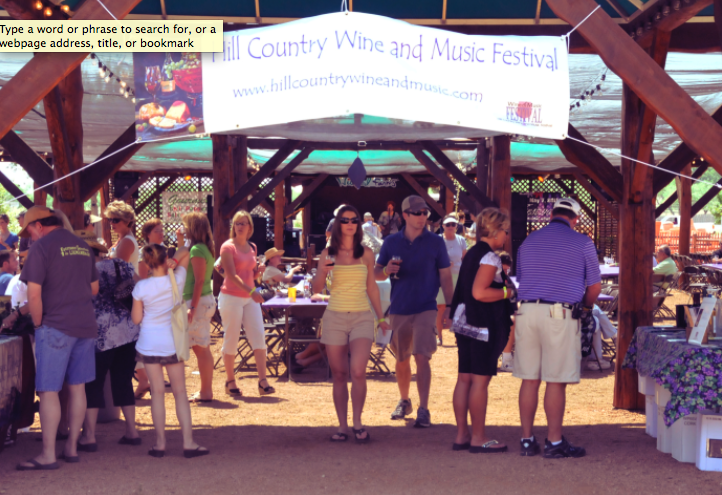 (map) Tis the season for festivals out West, and this one near Fredericksburg is one of the best. It happens next Saturday, April 26, from 11 to 7 at Wildseed Farms. Eight Texas wineries will pour tastes, and you can buy wine by the glass or bottle. Local restaurants and food trucks will provide the eats. There’ll be live bands playing all day, plus lots of arts and crafts vendors. $25, and more info is at the link below. Cheers!